This is an awesome vacation house close to the renowned beach where you can spend most of the time sitting on the sand mound or enjoying several water sports. You will be mesmerized with the Spanish style front that speaks nothing but about the Florida charm. Staying in this dazzling house is perfect if you want to make your vacation a successful one. This particular Hollywood Beach Vacation Home has 2 bedrooms and 1 bathroom and is cleaned and maintained by professionals to retain the original charm. Apart from that the house is tastefully designed and furnished with all brand new furniture and appliances. 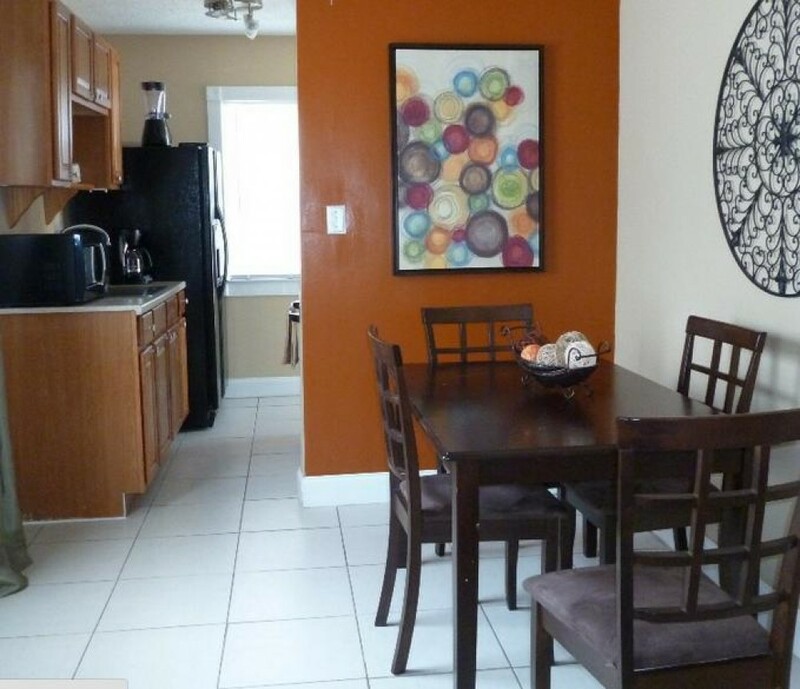 Just look at the kitchen � you will discover cooking utensils, microwave, ice make, refrigerator and many more. For relaxation and recreation, you can use the patio, pool, barbeque and the deck area. First time in Hollywood? You are definitely going to enjoy the nightlife. Besides that the vacation house is located only 1.5 miles away from the gorgeous Hollywood Beach and the famous Boardwalk. Live music, dining and shopping malls are at walking distance. Enjoy roller skating, fishing, golfing and biking at the Boardwalk. $750 - $850 per wk $-2700 to $3000 per month Except Thanksgiving and Xmas. A minimum 2-wk stay is required for Xmas.